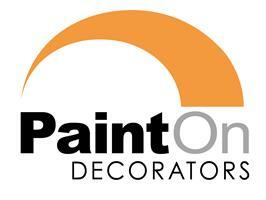 PaintOn Decorators - Painter/Decorator based in Paignton, Devon. Our portfolio of clients is very well balanced with home owners, landlords, letting agents, property management companies, building contractors and commercial business owners, therefore we have worked in fully furnished family homes, vacant properties, rental properties, holiday homes, hotels, factories and offices. We are a small family business that calls upon additional decorators when required, allowing us to carry out urgent or larger projects. Our quotes are tailored around the needs of our potential customers. Our knowledge of painting and decorating products is extensive along with a great understanding of damp and condensation issues offering affordable short and long term solutions. We offer dust free sanding, protection of flooring, furniture, fixtures and fitting and pride ourselves on attention to detail. The majority of our work is generated through recommendation as we are trustworthy, friendly, reliable and most importantly according to our reviews we do a great job.